Marrakech will be visited this week by CNN, Michelle Obama & Meryl Streep. CNN Journalist Isha Sesay will be moderating a debate with Moroccan Teenagers. Michelle Obama will be accompanied by her two Daughters, Malia & Sasha on the trip, before they all travel to Spain & Liberia. The program, known as Let girls learn helps the estimated 62 million girls worldwide who are said to not be attending School. 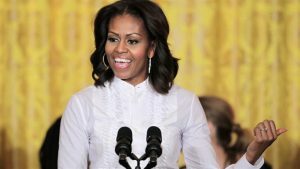 Michelle Obama’s trip to Marrakech aims to access to literacy and education for Moroccan girls. The Obama’s, Michelle particularly, is well known for her continuing interest in the education of girls worldwide. Morocco is famed with the claim that the country was the first ever to recognise the United states as a country after the US independence.